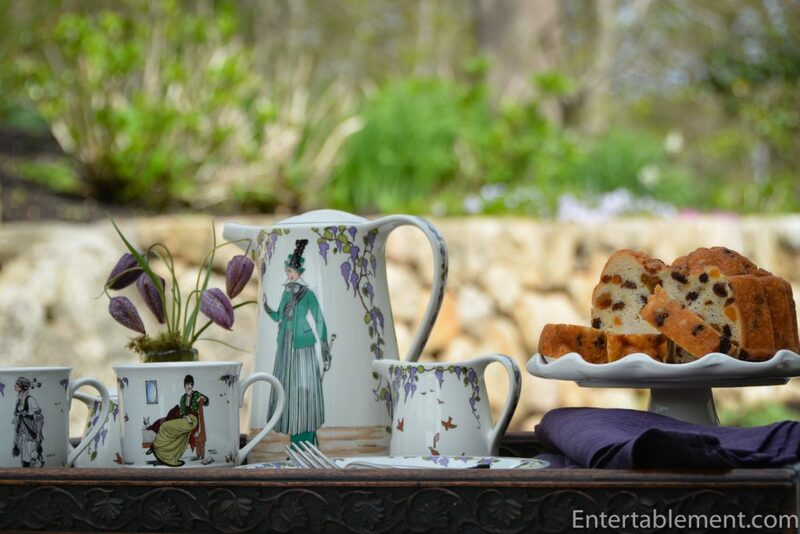 Tea time! Let’s take a break from all that gardening, shall we? Around our place we’ve shifted 13 cubic yards of mulch over the last week and the muscles know it…groan. 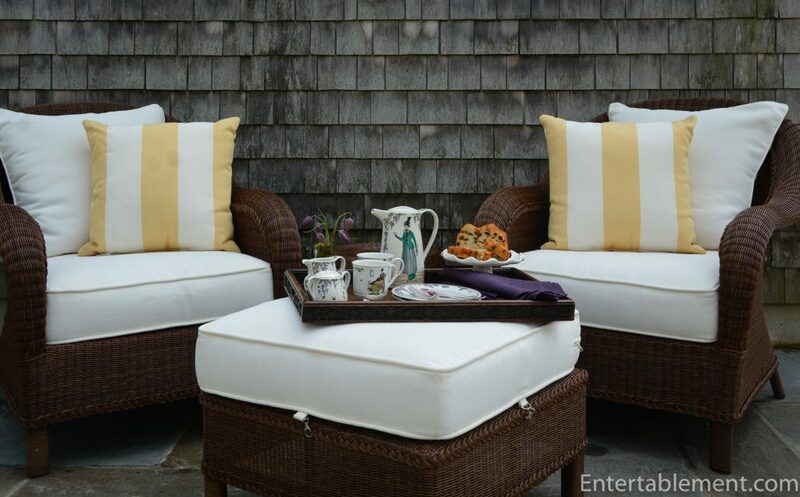 Ooops, may need to dust off the jeans before flopping down on the white cushions, though. 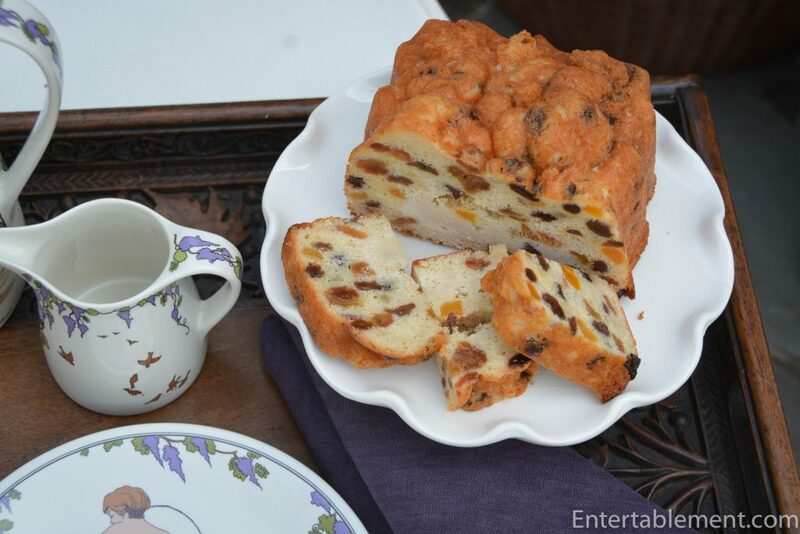 There is nothing like a refreshing cuppa and a little pick me up of Sultana Tea Bread. 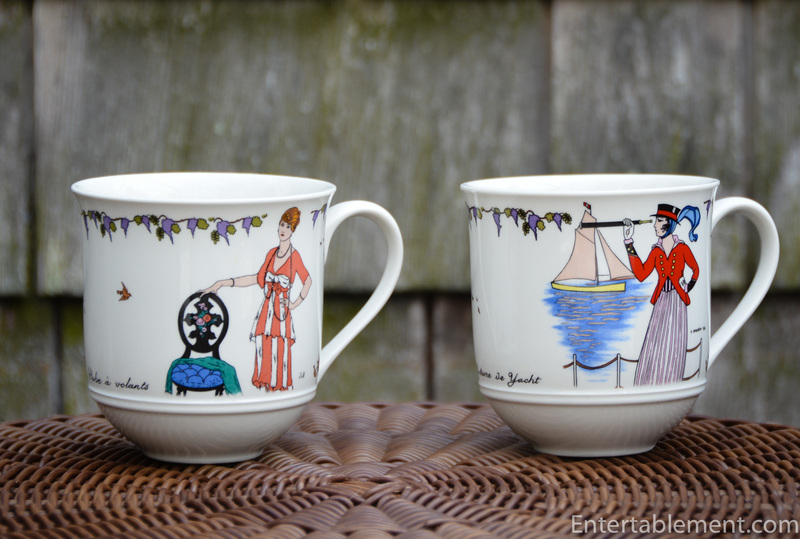 The coffee pot and mugs feature still more ladies. Oh happy day! I’m quite taken with the seated lady in the goldish long skirt, but the smart red jacket and hat on the sailing boat is my favourite. I’m not quite sure what’s going on with the striped arrangement on the right below. Could it be some type of bathing costume? The Art Deco period employed a lot of stripes, it seems. 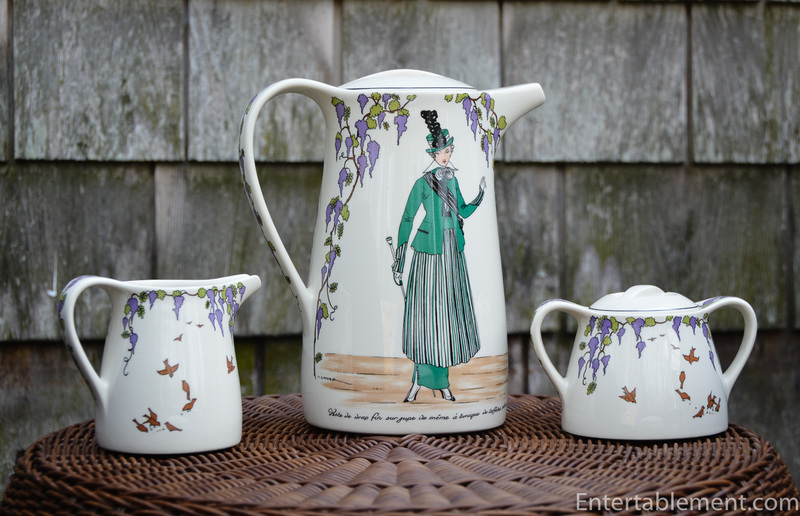 I do like the green outfit on the lady on the coffee pot, don’t you? 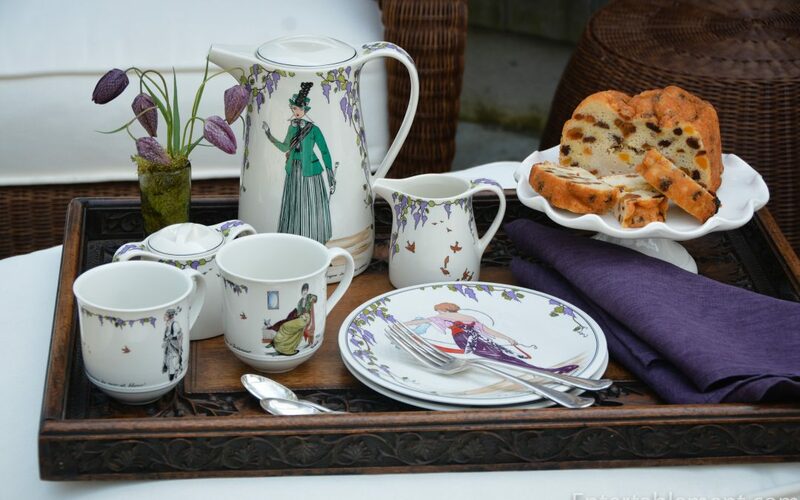 The mugs and coffee pot seem to feature more daytime wear, in contrast to the elegant evening attire prevalent on the salad plates. I had a few fritillaria bulbs poking up in the garden, so they joined the tea tray. Fritillaria is part of the lily family, and the checkered pattern on the flowers has always intrigued me. Nature is miraculous! 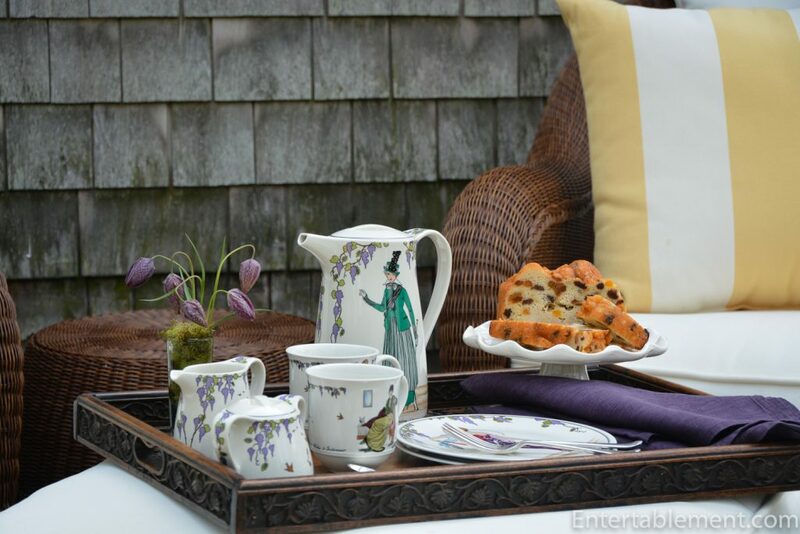 The antique carved oak tray is is perfect for serving tea. It’s generously sized and tough as nails; it withstands the odd spill with impunity. The handles are very comfortable, too. I picked it up years ago from Elise Abrams Antiques. 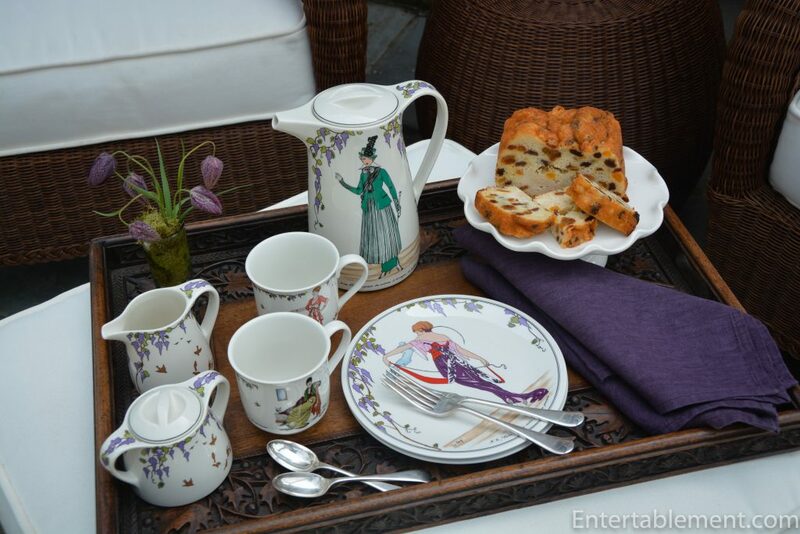 Ok – let’s tuck in before the tea gets to strong. Cheers! Those ladies sure did dress for tea compared to sipping tea in my jeans at 4 after a hard Day’s work in the garden. Those flowers blend in beautifully with the setting. Don’t recall ever seeing these. Very sweet indeed! This set is so sweet, with so many interesting colours to choose from. I would kill for those violet glasses. Lady #2, she’s called…I haven’t seen any Victorian swimwear that has such refinement, esp. the hat. The inscription reads, “robe a (? )confort (?) …noir et blanc,” (guessing here; can’t see that crucial word in the inscription), which makes sense, as the social requirements of confining the figure were relaxing, and a comfortable yet fashionable dress must have been a relief! She looks like she’s off for a stroll in the garden she most certainly has not mulched herself. 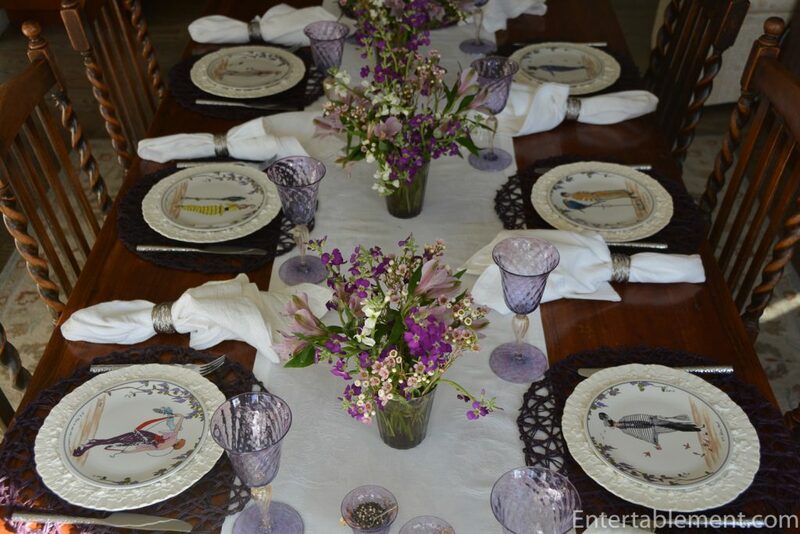 Just cut off the last of the showy white peonies and put them on the dinner table. 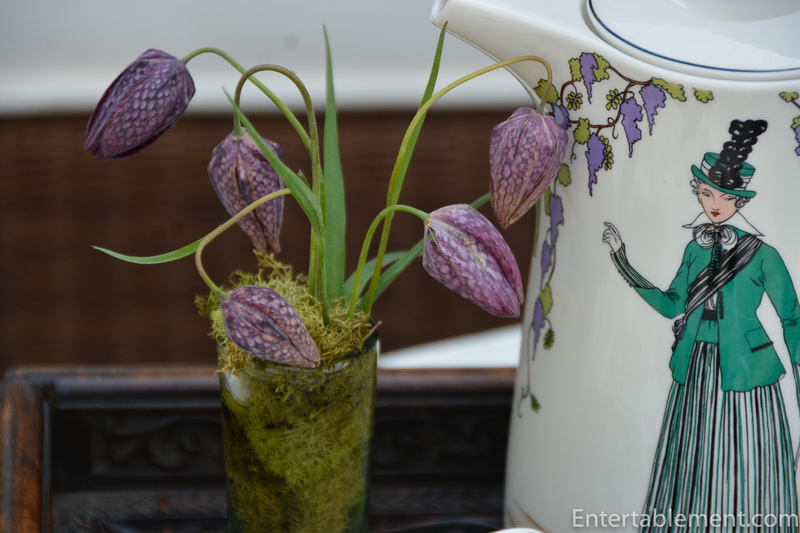 Aren’t fritillaria funny? Those violet glasses were a Pottery Barn item a few years ago and I bought them heavily discounted, as I don’t think they flew off the shelves. They’re quite generously sized, and perhaps prospective purchasers thought the colour was too twee? Anyway, I love ’em, too. Ladies of that era had the luxury of being decorative, unlike us more down to earth (literally with mulching) creatures! Our peonies are just starting to bloom and the scent is heavenly. I’m going to snap a few tables this week while they are in their full profusion. 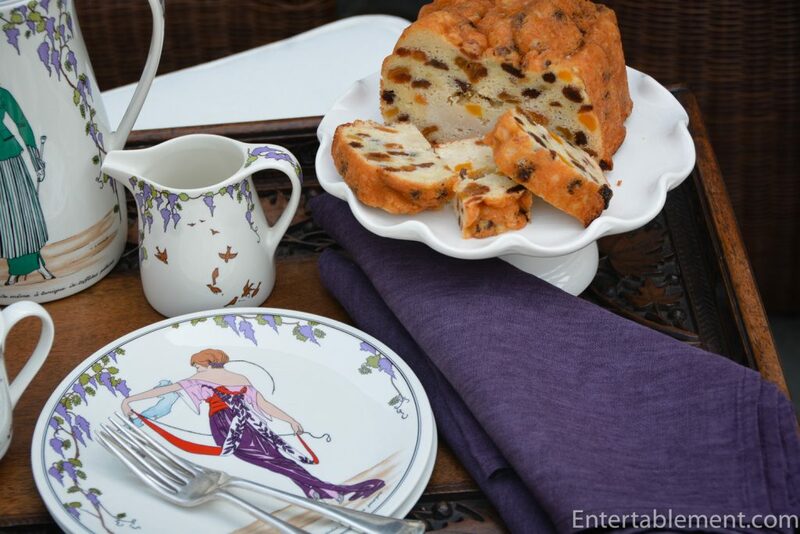 Love the fun china and those violet glasses. 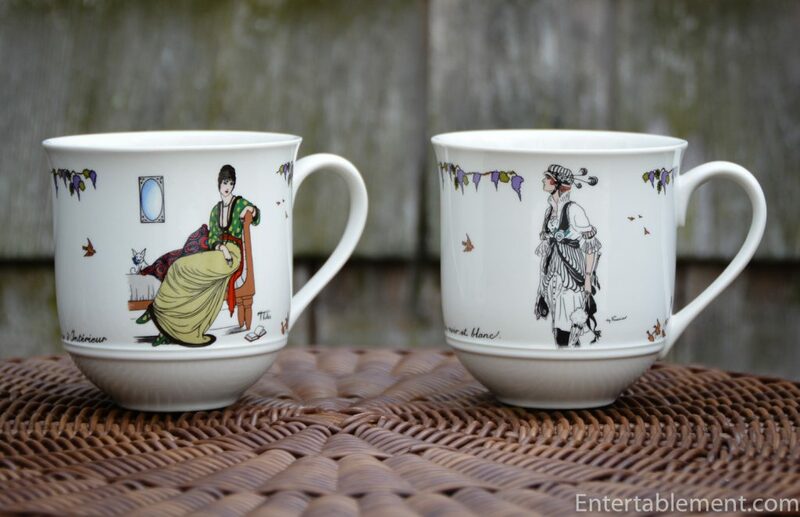 If I owned your collection of china and glassware, I don’t think I would ever leave home because I would be ‘swooning’ over them all day. LOL Color me envious. Speaking of Villroy and Bach, last week I bought a lovely glass platter of theirs with a bouquet and butterfly etched in it. Cannot find online anywhere. Thanks for visiting, Myrna! 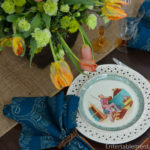 Most of my friends think I’m bats**t crazy, so I very much enjoy sharing my collection with other tableware fans 🙂 The blog grew out of a virtual scrapbook I used to keep on various tableware combinations (linens, flowers, backgrounds, etc). It’s a huge creative outlet for me, and has pushed me into keeping up with technology as well as improving my photography skills. A win-win! The platter sounds lovely. Where did you pick it up? 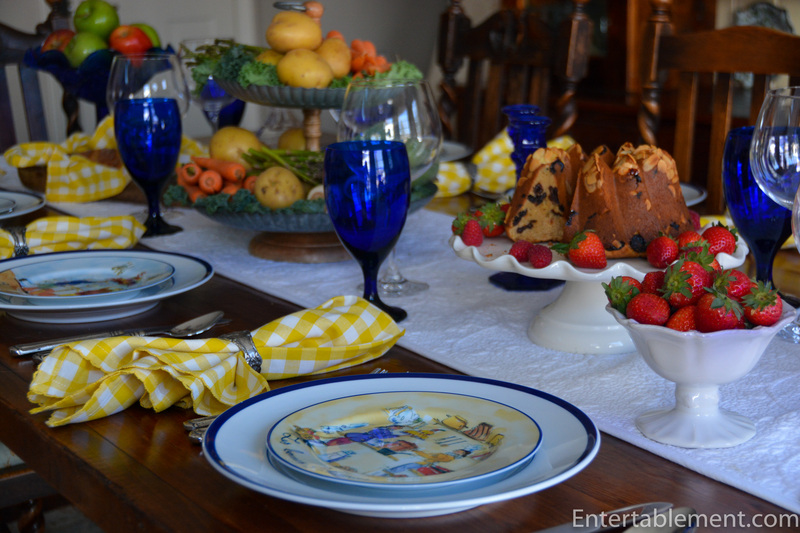 I bought the platter at a thrift shop for ….$3 less 10% off ! Excellent! 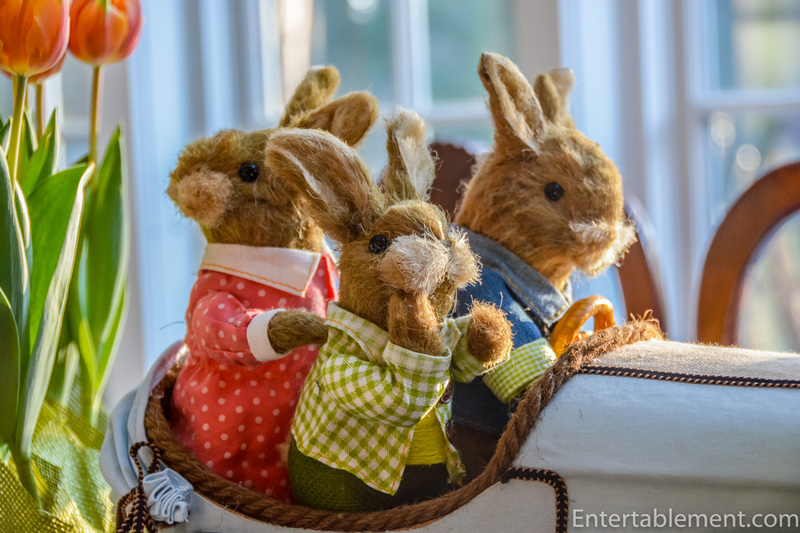 Giving a home to something beautiful – and for a great price – is the best! After I saw these ladies I had to purchase them! Got them on eBay, and chairing. 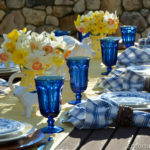 I am definitely a china,linen,glassware addict! 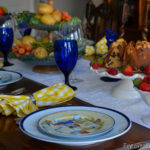 I love to create tablescapes and am considering doing a blog. Any advice would be appreciated. Hi Ramona. 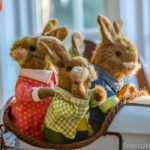 You picked a lovely pattern to collect, and eBay is a great source. 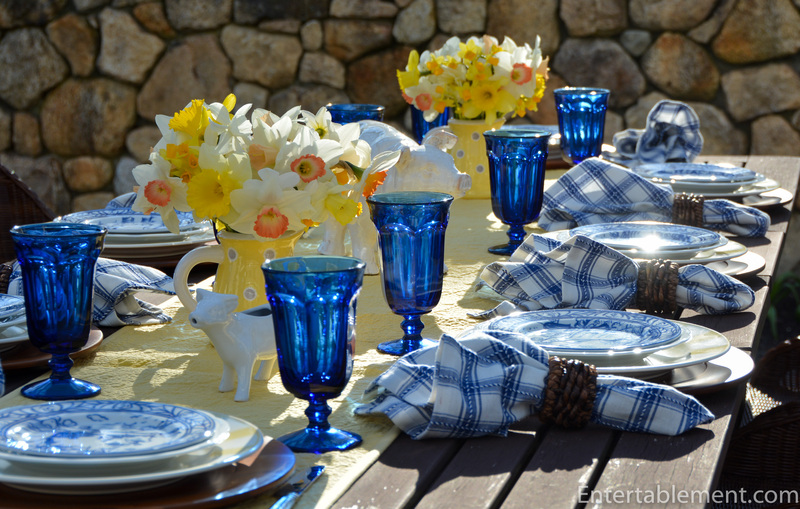 In terms of doing a tableware blog, I’d suggest using WordPress to set up your blog. You can do it yourself or hire somone and then maintain it yourself. Next would be taking a photography course, like Understanding Exposure by Bryan Peterson https://bpsop.com and figuring out Lightroom to process the photographs (there are lots of good online courses – I used Phil Steele’s course). Lastly, it’s the social media aspect. I’ve chosen to go with Pinterest, but lots of people also do Facebook and Instagram. 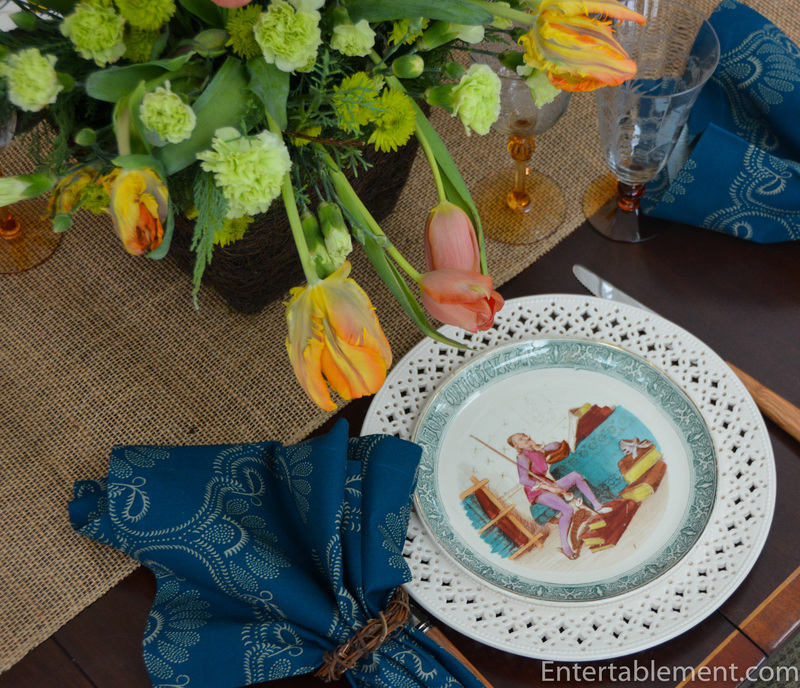 Then it’s the fun part – styling your tables and photographing! Good luck with it all. It’s a ton of work, but very rewarding.